On the occasions where I do manage to take off my fedora long enough to actually admit that mainstream titles still hold interest for me, I usually find myself going back to the same group of select studios, chief among them Firaxis. Firaxis has long held my loyalty for creating the inimitable greatness of theCivilization series, but if that hadn't been enough, they earned my love forever when they finally brought justice to XCOM. I've already gone on at length about XCOM in two different posts, and suffice it to say that as a fan of the original Micropose game, having lived through disappointing sequel after disappointing sequel, I was not only relieved, but absolutely thrilled with Firaxis' effort. So it was with a mix of trepidation and enthusiasm that I watched the approaching release date ofXCOM 2, like a hawk with indigestion. As I was playing The Fall, from Canadian developer Over the Moon, I was forcibly reminded of Bungie's Halo predecessor series, Marathon. That's a line of thinking that will probably make sense to, oh, I dunno, maybe dozen people in the entire universe, but I'm happy to explain it to the remaining several billion people who just rolled their eyes at how hipster I'm being right now. When I last wrote about The Last Door, the episodic point-and-click adventure/horror game from The Game Kitchen, the series was in mid-swing, entering it's second "season" of episodes. Nearly a year later, I'm sad to say the series has ended, probably for good. When I wrote about Don't Starve about a year ago, it was a game that had boiled the "survival" part of Survival Horror down to a raw essence epitomized by its blunt title. At the time, they had released a large number of updates to the base game, adding cave systems and boss monsters. The game really came into its own with the release of the Reign of Giants DLC, in April 2014. The expansion added new seasons, new biomes, and, best of all, even more boss monsters. This had the effect of making Don't Starve into a more thorough, complete experience, though the core mechanics were essentially the same. The biggest challenge of survival in previous updates - winter - came about a year earlier. Though summer and spring offered some nifty mechanics, they didn't feel all that different. With the latest major DLC of Shipwrecked, however, Don't Starve is moving into new territories that are offering something that feels like a truly complete experience. Imagine, if you will, a land of bright, colourful cheer. It is a place of magical, frolicking creatures. A place of candy, and soft, puffy clouds, and gentle music. It is, both literally and figuratively, a Dream Land. Yet every light casts a shadow. Every God has a Devil. And even the gentlest, most wondrous of places must have its reckoning. For Dreamland, that reckoning had a name, spoken only in hushed tones: Kirby. A group of late-teens head out to a local island for a spring break party, just before high school graduation. You've got the slacker/stoner/jokester guy, you've got the jock/boy who might be a romantic interest, you've got the artsy/hipster girl, you've got the bitchy girl, and you've got the quirky, smart, pure hero (you!). Sounds like the setup to another Friday the 13th entry, doesn't it? 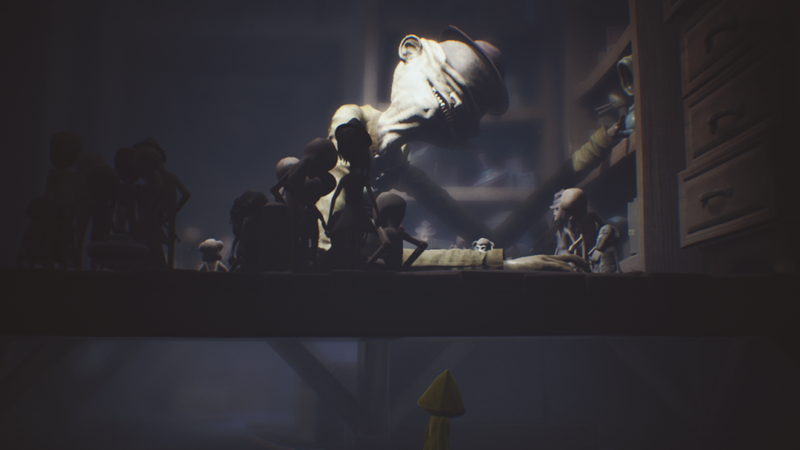 But nope, this is the lead up to Oxenfree, a game that starts off sounding like it's going to be a horrendous cliché, and transcends the trappings of the horror doldrums to dig down into some really eerie, meaty, storytelling. Ultima, as a franchise, has done more to influence modern gaming than most people realize.